The Park Staff and the Friends of Sumpter Valley Dredge would like to thank everyone who came out to join us for the 2012 Dredge Heritage Day. Hamburgers were served and many delicious homemade side dishes, salads, and deserts were brought by those attending. We were joined by Buzz Howard who had performed just about every job imaginable on the dredge while it was in operation (…and maybe a few we can’t imagine…). He satiated our curiosity about what it was like working on the dredge with his stories, including perils of greasing the rollers on the stacker. Family members of some of the dredge workers also joined us. Jim Poston, secretary of the Friends of the Dredge, is the brother of one of the workers. 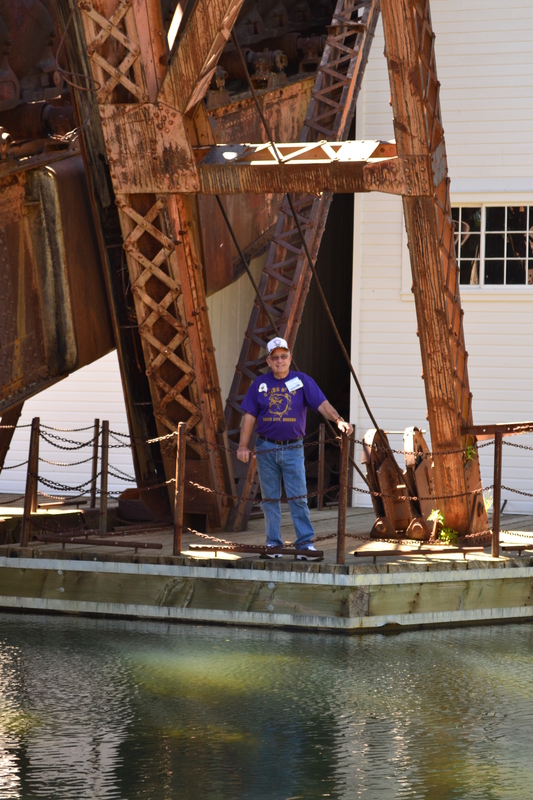 Jerry “Bubba” Howard, Vice President of the Friends of the Dredge, is the brother of Buzz Howard and the son of Stub Howard both of whom worked on the dredge. Myrna Potts was also able to attend. Myrna is the wife of Hank Potts who sadly passed away this year. We will miss him and hope she will be able to continue to join us for more gatherings in the future. If you weren’t able to attend this year, circle the third weekend in July for next year as this is when it is usually held. The Heritage Day is a great and important opportunity for us to come together to celebrate and remember a prominent piece of history in our area. The Dredge did not just impact the Sumpter Valley to the way you see it today; it also shaped and formed the lives of the people who worked on it, grew up with it, and continue to preserve it. 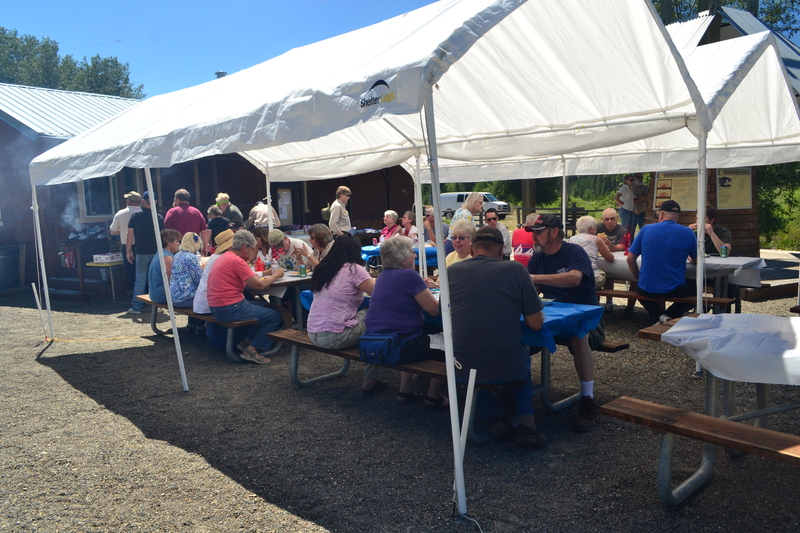 This entry was posted in Dredge Stories, Dredge Workers' Reunion, Friends of the Dredge, History and tagged Dredge Workers' Reunion, Friends of the Dredge, Sumpter Valley Dredge Heritage Day. Bookmark the permalink. Actually Jim Poston is the Brother in Law of Howard Graves, and Buck Blize who who worked on the Dredge. Jims Father worked on the Dredge for a short time. Thank you for the correction, Pat. So many workers it can be hard to keep them straight but it’s so important for us to remember them.